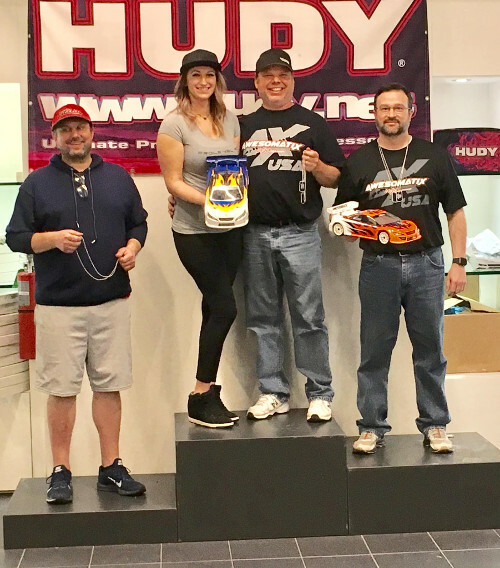 A brand new location of ProlevelRC in St. Louis hosted their annual Hudy Indoor Champs from January 3rd to 6th 2019. The brand new facility just was finished days prior so the participants at this race would be on brand new CRC black carpet just like at major hotel races vs what we usually find at track-based races. Team Awesomatix USA tackled the challenging new track with wins in three classes -- USGT, Stock TC and Super Stock TC. 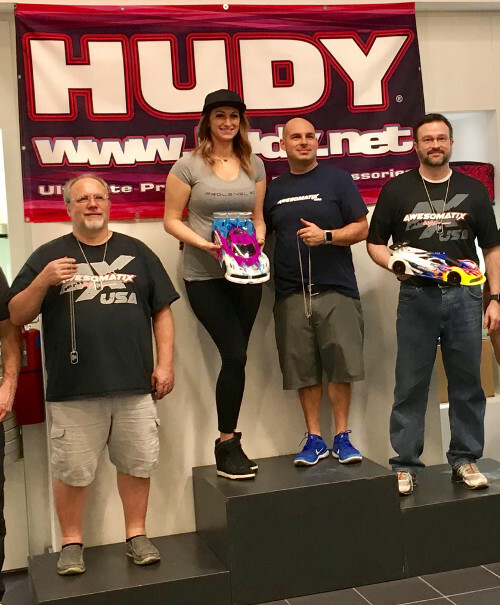 In USGT, Art Scrimo would lead an Awesomatix sweep of the podium taking the TQ and Win! Eric Jones qualified second and finished second. Brent Klingforth qualified 4th and raced up to third. In Stock TC the racers would have an additional challenge of handout motors without fixed timing or gearing. Bill Sydor would handle the challenge better than all others taking the TQ and Win. Eric Jones would race his way from 4th on the grid to second overall. 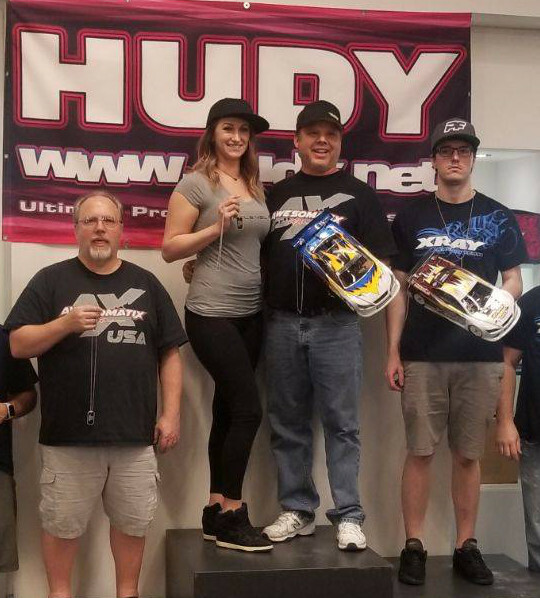 In Super Stock TC Bill Sydor would again take the TQ and Win. Bill attempted to mimic his win on Danny Sullivan's great spin and win at the Indy 500 by surviving a spinout in the sweeper while leading to just take the win over Dan Hamman. Brent Klingforth would race up from 4th on the grid to take third.